Donate $30/Mo. for One Year | Wells For The World Inc. Many people are waiting for clean water. We need your help! Your $30 USD monthly tax-deductible gift provides clean drinking water for 48 people (or 12 families) for 365 days, a whole year of safe drinking water. 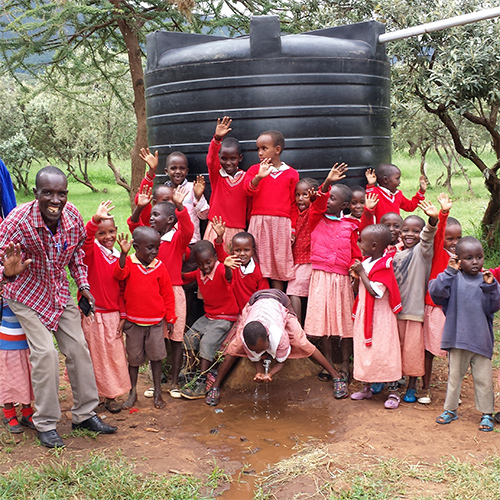 A monthly recurring donation is your commitment to support Wells For The World Inc. 365 days a year to help provide clean, safe water for the families we help in Kenya and Tanzania. Make a donation and become a part of our movement to to break the cycle of water poverty and needless cycle of generational hopelessness.